Pinterest has become a more powerful platform over the past few years. It is getting even more beloved by B2C customers. According to online marketing research, Pinterest users are more likely to spend money online than other Internet users. Statistically, they spend 2 times more on online acquisitions. You’ve probably been using Pinterest for a while and have your business account ready. If not, earlier, we explained how to create a Pinterest account for your business. 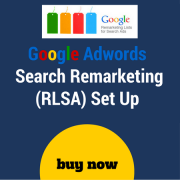 In that article, you will also find out about Pinterest remarketing options. 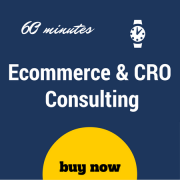 However, today we are going to look through more sophisticated practices that will help you get more sales. 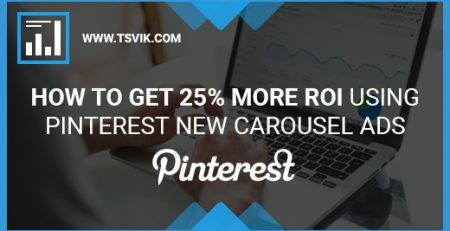 In other words, what you should do to boost your Pinterest account and move it to another level? How to target the right users? 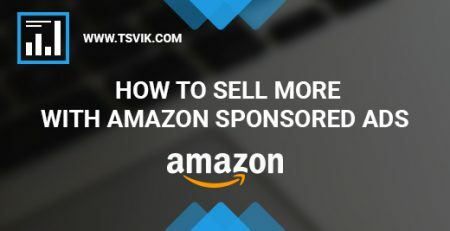 How to inspire them to buy your product or service? Why is it so rewarding? 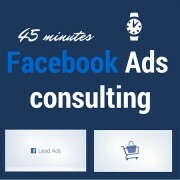 Basically, you are showing the Ads to people who are already familiar with your business. That is why they are so easy to convert. 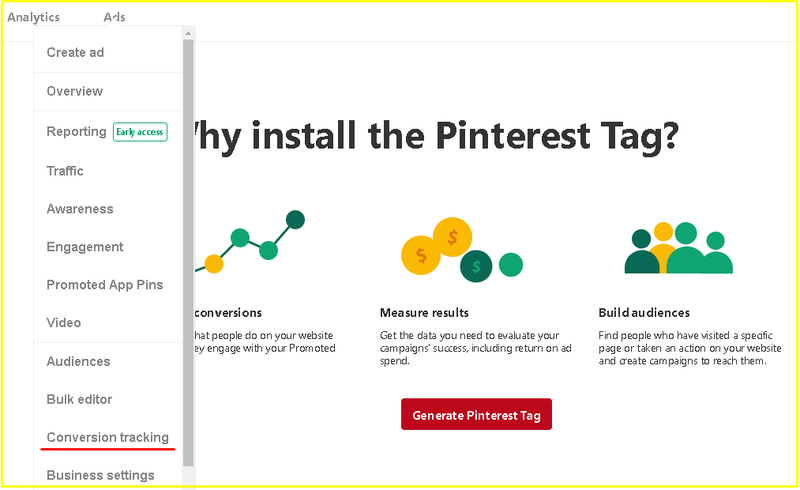 To enable retargeting, all you need is to set the Pinterest tag in your business account. After that, you can give your tag a name and install the code on your website. It will allow to track your visitors and to retarget them through Pinterest campaigns. 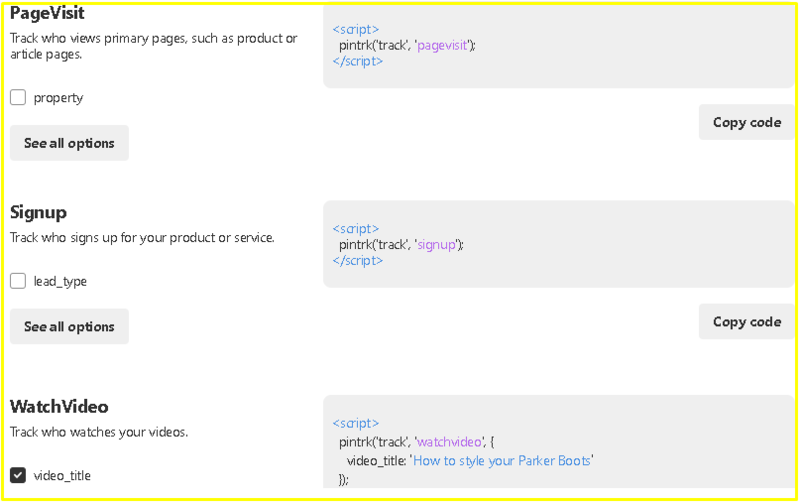 The code must be installed within the <head> section of all your website pages. 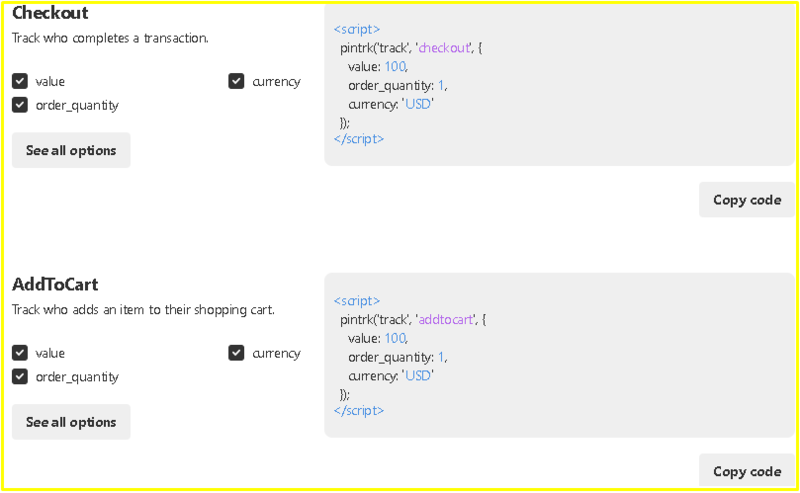 You might also need other separate codes if you’d like to track specific events happening on your website. To follow up on those who watched your videos. There are more tags you might place on your page. You can even add a custom tag if the action you’d like to track is really sophisticated and does not appear among the most used tags. In order to know exactly how to install any specific of these codes, you should probably refer to this helpful Pinterest Guide. Once done, if your Conversion Tag is installed properly – you’ll see that its Status changes to Verified, and it actually starts tracking events. 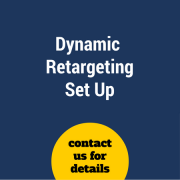 Now it is the right time to launch your first campaign and enable retargeting. 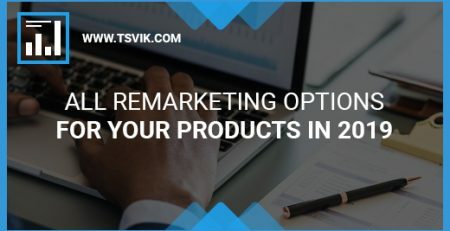 Generally, remarketing campaigns work to drag sales towards your e-commerce website. In order to get those sales, you need to lead people to your website first. That is why the best option for you to choose is “Traffic. Provide the details for your future campaign: name, daily and lifetime budgets. The lifetime budget is optional as, in some case, you won’t probably limit your campaign running. On the next page, you will be asked to create your first Ad. 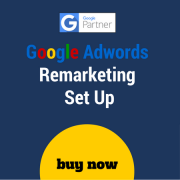 That is where you select a proper Audience for your Remarketing campaign. 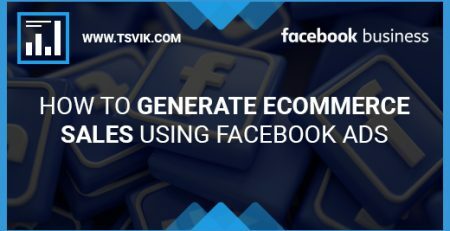 To get the best effect from your campaign, it is better to create a new audience consisting of visitors who went to your site and, therefore, they already know your brand. You can only create new audiences and use them in your campaigns when the conversion tags are installed and active. The best thing is to make sure that you’re using a correct tag for your needs. 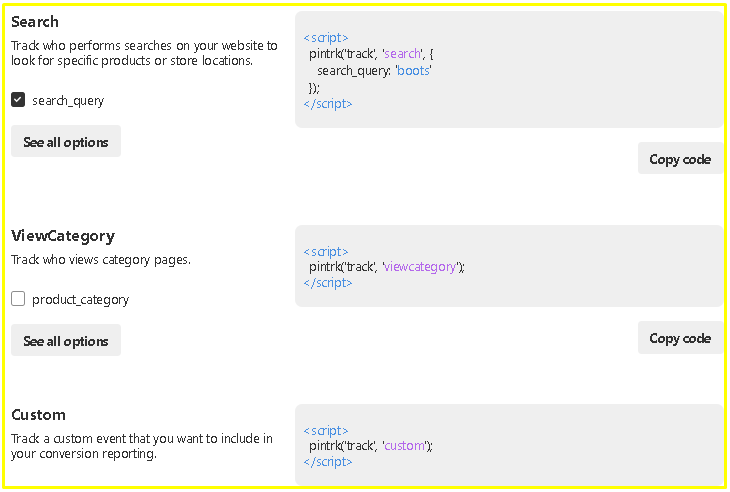 Before, we explained that there can be many tags based on events you want to track. 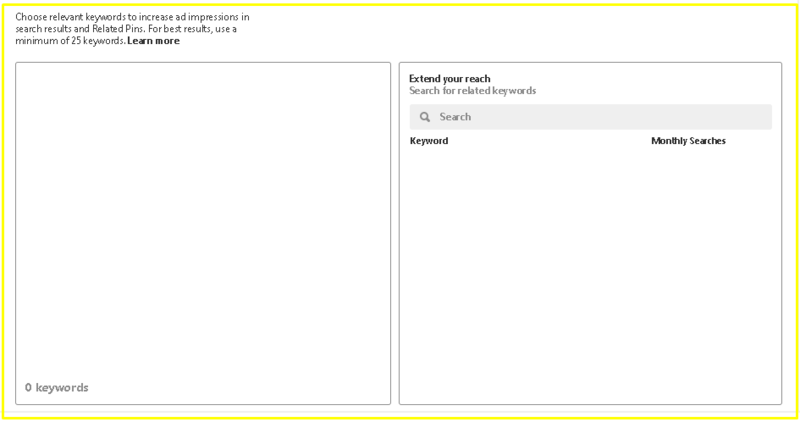 Instead of targeting your visitors you can also target by interests or keywords, or refine your chosen audience by setting additional interests or keywords. 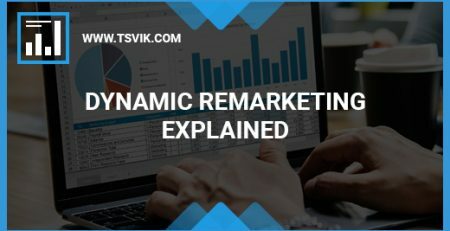 However, the best way to reach your goals in a retargeting campaign is to follow your current users. Pinterest usually suggests a budget you can stick to when running your first campaign. Before to promote any Pins, make sure they appear on your Dashboard. There is an option to create custom Pins where you can expose any valuable information to catch your potential customers’ attention. It is important to save your Pins for promotion on the dashboard. It is easier to pick them when you create your Ad. The final trick is to find out if you should just target your audience or you should add keywords and interests. The table below is showcasing where each of those should be used. As we can see, when you take people to the home feed or any of the popular categories – you can use all four variations of targeting. Using audiences only is not recommended when categories, search pages, and related pins are used in promotion. Actalike audiences cover users that might act just like your selected audience (for example, Visitors of a specific page on your website). Pinterest uses algorithms that will select a unique Audience similar or lookalike to the one gathered via the Pinterest Tag. The idea is related to Facebook. In fact, any social media provides lookalike or actalike audiences at the moment. 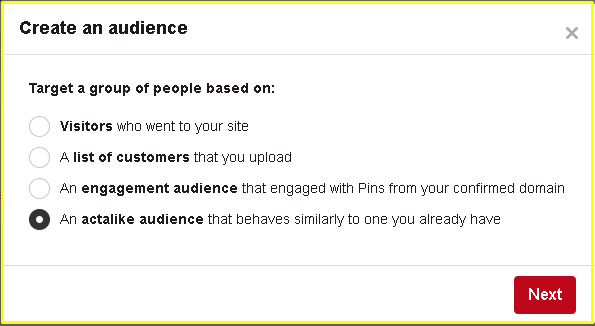 Pinterest actalike audience targeting is a good option if you’d like to cover a wider range of users. Moreover, these new users will be most likely to buy as they have comparable behaviors to your existing customers. Usually, lookalike audiences show a really high performance. Statistically, you might raise your CTR for more than 60%. 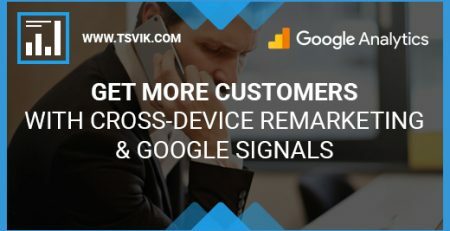 Customers from your e-mail list. You know how to install the pixel and to collect user statistics already. In order to proceed with Option #2, you need to go to Ads -> Audiences -> Create Audience. Then you should pick “A list of customers that you upload”. You can easily upload a CSV file and start populating your audience. Pinterest requires at least a file of 100 users. The name of your list describes your customers and their intent. If you have many lists with random names, you can add a short description that helps you to avoid the mess. Once it is done, you can go to Ads -> Audiences -> Create Audience again. You will see the List of Customers among the optional sources you may target. As an option, you can also target the List of Customers itself. 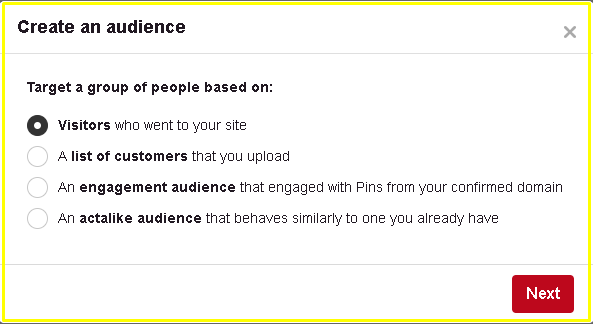 If it works well but you’d like to expand the potential user exposure – try Pinterest Actalike audiences targeting. You can stay assured that your Ad will be shown to people who find it relevant. It is a good practice to use different lists as a base for actalike audiences. It means you create relevant audiences with different intents. For example, you differentiate users who signed up for your newsletter or contacted Support with questions about a possible purchase. That is how you generate Actalike lists with similar intents. 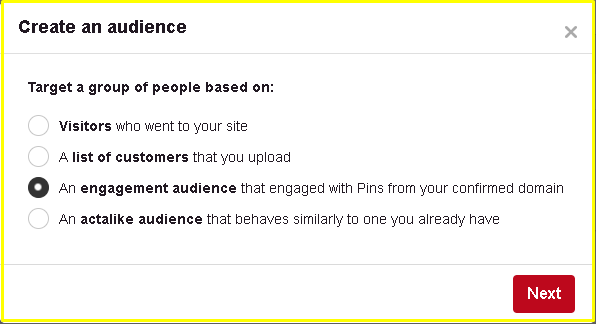 The engagement targeting uses specific audiences based on people engaged with your Pins. 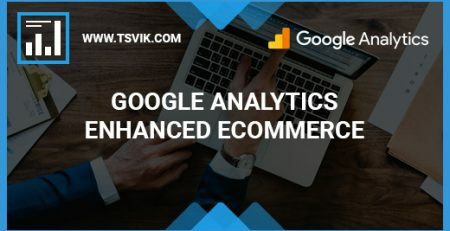 Usually, users who displayed their interest to any of your Pins showing your company goods or services will be much more likely to buy within the next 30 days. According to Pinterest records, more than 80% of people who like or share specific Pins will buy what they have seen. 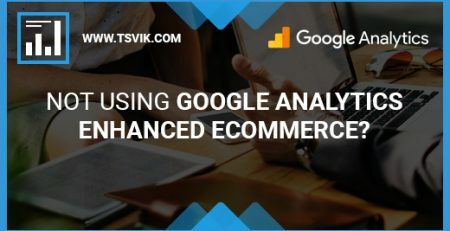 By visualizing the potential purchase we increase their buying intent. Associate your website with Pinterest. Scroll down until you see “Claim” section. 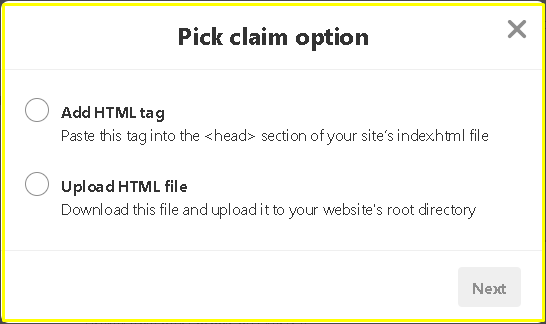 Type your website URL and click “Claim”. Once you do it, you’ll get 2 options on how to claim your website. You can either add an HTML tag into the <head> section or upload aa HTML file into the root directory. Now, you can create an Engagement audience of your choice. Just go back to Ads -> Audiences -> Create Audience. After that, you name your audience and set all the necessary filters. You can track different users, for example, focus your tracking on URLs, Action types or Pin IDs. 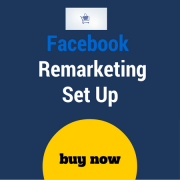 You can also add advanced targeting to your Engagement campaigns. Once everything is done, you wait until Pinterest verifies it. Pinterest is a good option for B2C companies. It is easy-to-use and allows multiple features within a comprehensible interface.